Monday, July 30 is the last day you can register to vote for next month's primary election on Aug. 28. Visit the Florida voter registration website to submit a new registration or update an existing registration. To learn more or find out how to register in Orange County, call the supervisor of elections office at 407-836-2070 or visit ocfelections.com. Because Florida is one of nine states that has closed primaries, voters are required to choose a political party in order to cast a ballot for that party's candidate(s) or race(s). However, there are several non-partisan issues and races on the ballot that do not require a registered political affiliation. 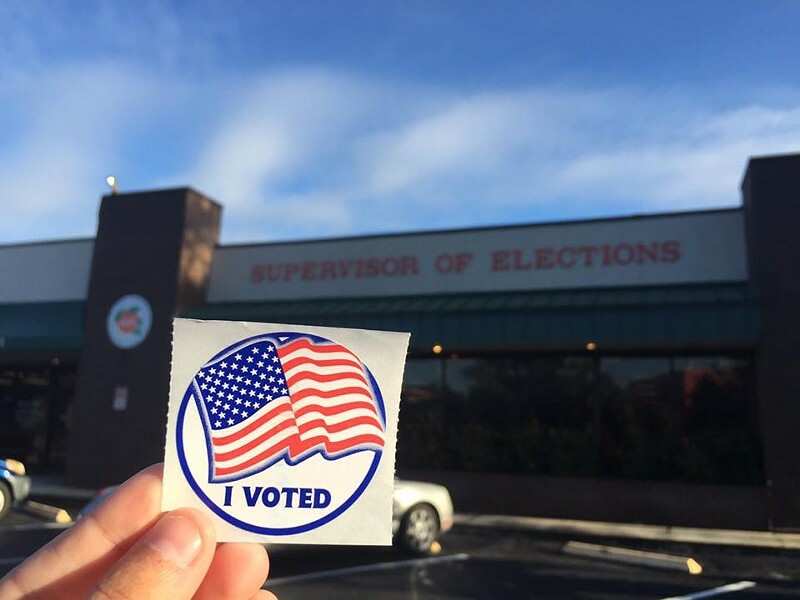 Some races Floridians will get to vote on include governor, county commissioner, and school board members. 3.4 million people are registered to vote with no party affiliation in Florida, while 4.5 million are registered Republicans and 4.7 million are registered Democrats, according to the Florida State Division of Elections. In Orange County, there are more people registered unaffiliated (233,004) than registered Republican (205,646), and even more registered Democrats (320,491) as of June 30, 2018. The Sun-Sentinel reported that the "fastest growing segment of the electorate" is NPA (no party affiliation).